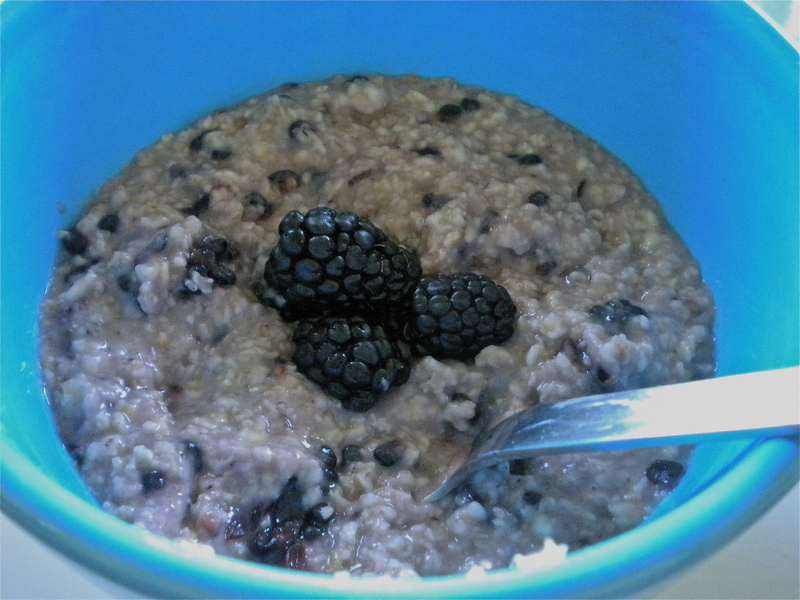 I added some extras to our common breakfast this week, and it turns out I hit the kid-friendly jackpot with this antioxidant-loaded concoction: Oatmeal with honey, some whole milk, blackberries, and a bit-more-than a dash of ground ginger. Freida was wild about it!! I know it sounds odd, but seriously - try it! Was so damn good! Plus, the added nutrients of the berries and the ginger-heat make for a much more fiber-full and beneficial breakfast than the plain ol' instant stuff. I think this is also a fabulous baby food - especially when trying to introduce little buds to a variety of new tastes. 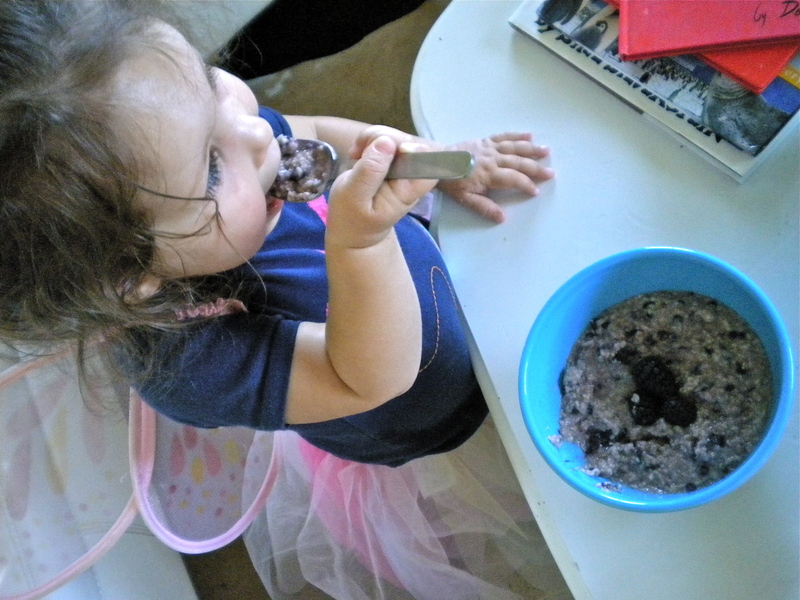 Just cook and puree the blackberries first for babies under 6 months. To developing little palettes! Enjoy!